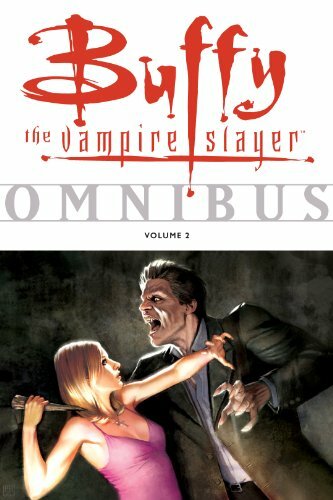 Buffy Omnibus Volume 2 on TheBookSeekers. As we follow the newly chosen Slayer from Los Angeles to Sunnydale and through her parents' divorce-with Dawn in tow-the souled vampire Angel makes his first appearance and the not-so-souled Spike and Drusilla cleave a bloody path toward the West Coast. This collection includes the critically acclaimed graphic novel Ring of Fire and the miniseries A Stake to the Heart, and reflects the Season 1 to Season 3 timeline of the cult-hit TV series. A fitting companion to Joss Whedon's comics-based relaunch of the show.